Discussion in 'Masonic Blogs' started by News Feeder, Jan 10, 2011. 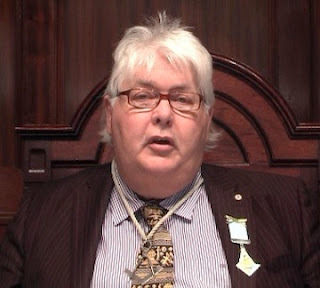 The second video presentation from the Worldwide Exemplification of Freemasonry is up and running until January 22nd, 2011. "The Gift of Irish Freemasonry" - by R:.W:.Brother Robert T. Bashford of the Irish Lodge of Research. The video requires a fairly robust internet connection, as it is a large file, so please be patient. It is running under Silverlight. Mac users need to download and install Flip4Mac for this presentation. Last week's lecture, "The Four Crowned Ones," by 2009 Prestonian Lecturer Dr. John S. Wade, is available until January 15th. 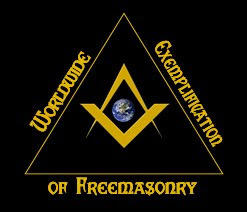 The Worldwide Exemplification of Freemasonry 2011 Lecture Series is a free presentation by the Grand Lodge of Indiana F&AM, beginning January 1, 2011 and running through December 31, 2011. At the conclusion of each presentation you will usually have an opportunity to join with the speakers in a live conversation on Facebook at the "Worldwide Exemplification of Freemasonry 2011 Lecture Series" page. The videos are only available for a two week period. Next Saturday, January 15th, will be "The Evolution of Scottish Freemasonry" by Robert L.D. Cooper of the Grand Lodge of Scotland.